Minerals Engineering came into being in 1988 (posting of 8th January 2013) and for the first 27 years I was the sole editor. 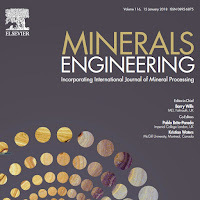 In November 2014 Elsevier appointed Dr. Pablo Brito-Parada, of Imperial College, as my very able and professional associate editor, and the two of us worked together until the merger of International Journal of Mineral Processing (IJMP) into Minerals Engineering at the beginning of this year. The merger also involved the merger of the Editorial Boards of the two journals, with Dr. Kristian Waters, of McGill University, one of the previous IJMP editors, being appointed as a co-editor with Pablo, and I remaining as Editor-in-Chief. 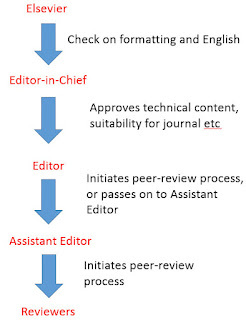 In a move to bring young researchers into the journal structure, Elsevier appointed 6 assistant editors, to work directly with Pablo and Kristian. 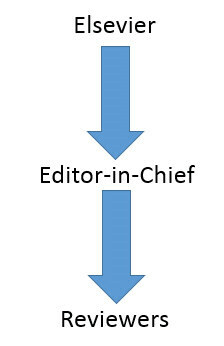 The route from receipt of a paper to final decision on publication is therefore markedly different from that of a few years ago. 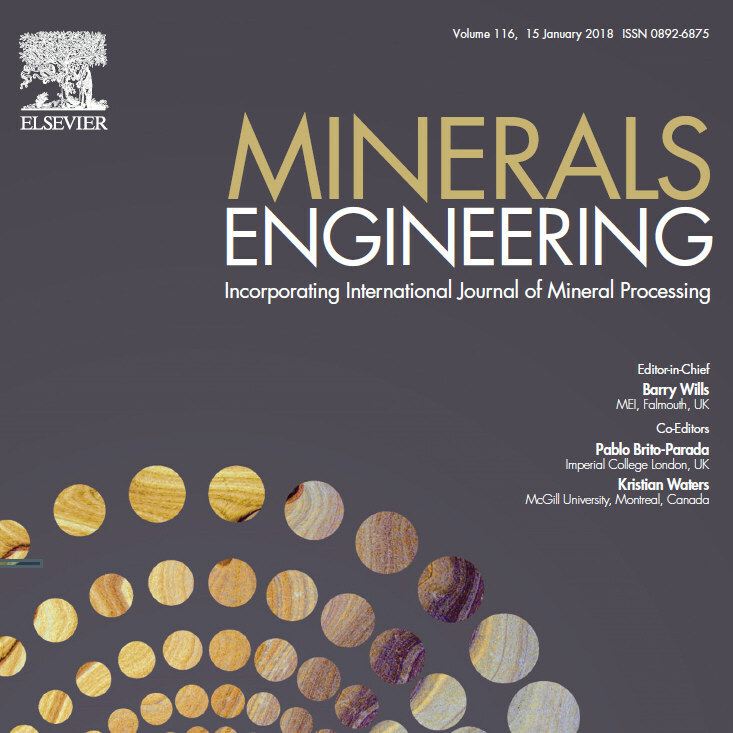 If you wish to have a paper considered for Minerals Engineering, you submit your manuscript online via the journal website. Elsevier technical staff then make checks, mainly on format, and if approved the paper is then passed on to me. My main role is to assess the potential of the paper for the journal, mainly to ensure that it falls within the scope, it is sufficiently innovative and the science and English are sound. If your paper passes my 'first filter' I then pass it on to one of the Editors, who then takes full responsibility for the paper. If the handling editor feels, after further reviews of the content, that the paper is worthy he will send the work off for review to two specialists from our +275 strong data base. 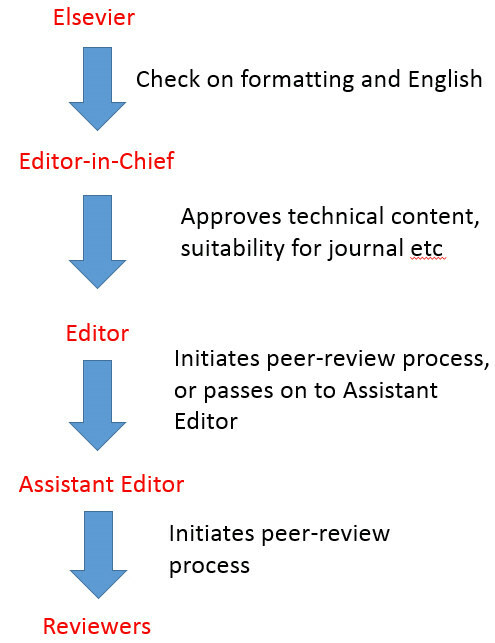 Or he may appoint an Assistant Editor to look after the peer-review process, requesting revisions where necessary until the time comes for a final decision. This new system is certainly more time consuming than the previous, and may appear cumbersome, but I fully approve of it as it is bringing 'new blood' into the journal and fresh ideas. However, papers submitted to a Virtual Special Issue (VSI) move through a very different route, and are essentially 'fast-tracked'. The Editors and Assistant Editors play no part in the review process, authors dealing solely with me. VSIs are ScienceDirect compilations of papers presented at MEI Conferences. In order to present your work at such a conference, you will have submitted a short abstract to me for assessment. If approved you will have the opportunity of presenting your work either orally or by poster, and you will be required to submit a draft paper prior to the conference. This draft paper will not be refereed, but will be made available to all conference delegates as part of the Proceedings, and will essentially be a discussion document at the meeting. MEI Conferences provide ample time for discussions with other delegates, and we regard the conference as the first peer-review of your paper. After the conference, as a result of discussions, you are asked to amend your draft if necessary, and then to submit online to Minerals Engineering. The paper, identified as a VSI submission, will then be handled directly by me and two reviewers. I always stress, however, that even by this 'fast-track' route there is no guarantee of publication. Many good conference papers are not ideal journal papers (posting of 21 January 2010), but even so, there is a higher chance of publication after your conference experience, and in 2017 the rejection rate of VSI submissions was 53% compared with 82% for non-VSI papers. Another great advantage of the VSI system is that there is no hard copy of the special issue. This means that once your paper has been accepted for publication it will be immediately allocated to the next available regular issue of the journal (which does appear in hard copy), and the paper also compiled into its appropriate VSI (click here for an example). If you are considering submitting your work to an MEI Conference, and then to a VSI, and need any clarification on the above, please do contact me directly. Explained so clearly(you are a good teacher) and so transparent(have always been). Hope to read very stimulating and exciting papers in the times to come.